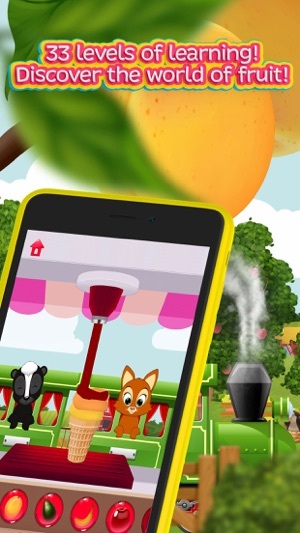 Moona Puzzles Fruits become a real educational play center with 33 levels. Kids like this new learning format in the form of short game tasks. 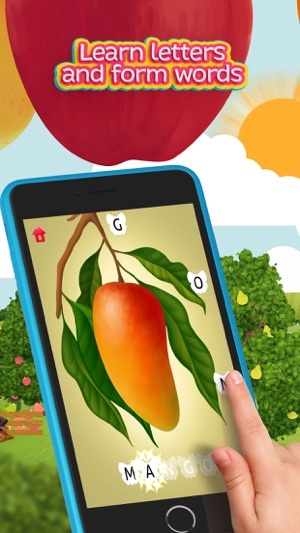 Our app includes 5 types of games which improve photographic memory, attention, creative thinking, and logic. And, of course, your child will learn new words and concepts in English, Japanese, French, Chinese, Spanish, German, moving on the fruit level map and winning award-surprises. 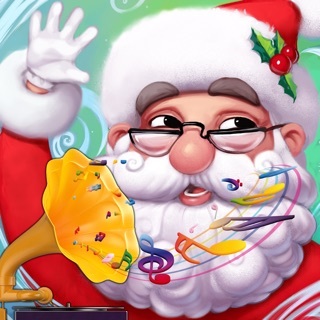 - "Moona Match and Learn Puzzles". Traditional and already loved by children, they are “match and learn” puzzles with fruits and berries in the form of 3-stripe animated puzzles. Completing puzzles by scrolling bars, your child will develop logical thinking. - "Write the Fruit Name". This type of game appears after your kid has collected a fruit card. He or she then has to form words with the letters. Completing the word will allow the child to play with a cheerful little worm which is very hungry: feed it to see what happens! - "Bio Puzzles". 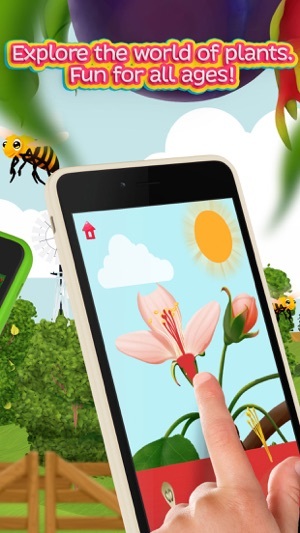 This set of tasks with built-in animated games will introduce the child to the basic concepts and principles of botanic. - "Where is the Fruit?" 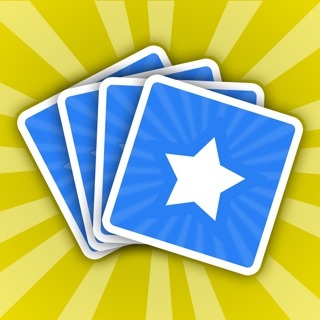 This type of game is aimed at the development of photographic memory and attention. - "Fruit Train". 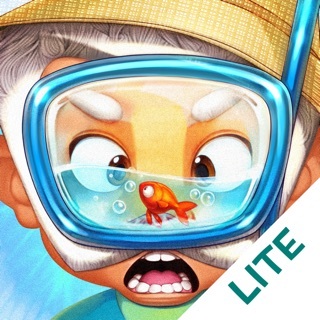 The aim of this funny puzzle game is to find matches. A cheerful worm drives a train full of glass jars. “clank-clank” - clink the jars. “choo choo”, whistles the train. The kid should pick the fruits and add them to the right jars - the ones with an image of the corresponding fruit halves on the label. 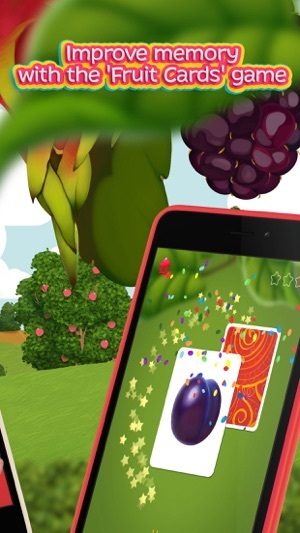 This game develops logical thinking, matching abilities, as well as memory - the kid has to remember what the fruits look like! Our app was created in collaboration with preschool teachers and psychologists. It takes into account the important features of the development of memory at an early age when memory is involuntary: the kid remembers only things that were very interesting and emotionally charged. That is why our game levels are bright, catchy and short enough: they will not tire a two-year-old toddler, but will still be useful and interesting to a five-year child. - 33 game levels that you need to pass in succession. The tasks gradually become more complex. - 8 languages that can be easily switched from one to another. Building vocabulary has never been so much fun! - matching & learning games for kids! - Large and clear words and letters. - Realistic Images: Children learn from the pictures what things really look like. 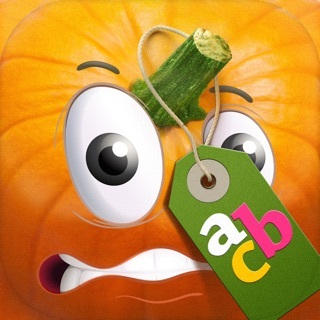 - Through the game, the child will master basic reading and word-building skills. -Free coloring pages and activities that can be downloaded for printing from a parent’s page. - Created for families with children ages 2-5 years. - We promise: No banners, no ads, COPPA compliant. We do our best to test our apps on all devices. Should you nevertheless run into difficulties, please send us an email to support@moonagroup.com. We can unfortunately not provide any support in response to comments in the App Store. Thank you! 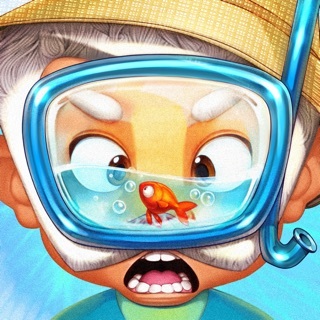 We are Moona, a family app development studio. 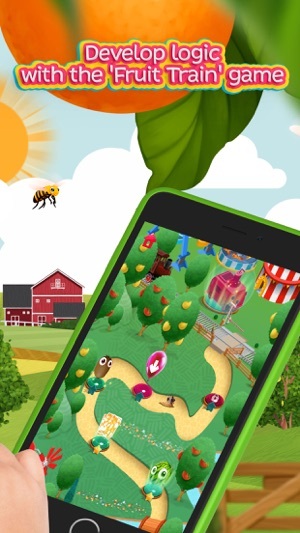 We create carefully designed apps for children, which are fun and encourage them to learn through playing. We very much hope that our applications will provide new themes for family communication, education and fun. An important issue for us is to create apps which can be played by children with all kinds of different abilities. We'll be grateful for any advice and comments, which will allow us to improve our applications. ** Now it's easier to find the "Icefruits Van", a cute van in which you can make fruit ice cream. Look for it at the beginning of the map. Play as long as you wish but do not forget to make some progress on the map so you can offer your guests new tastes! 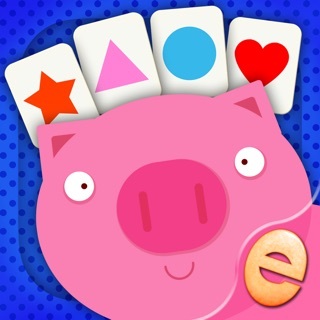 This game is the perfect pair for the another app Moona Puzzle Veggies. I love the design & pictures/illustrations. The game is educational: it is about practicing alphabet, learning new words, improving attention, And the game is simultaneously fun. This app is a great find. It will give children a fun way to learn and solve puzzles. It will help figure out new ways to solve problems and show them new words they can use for their language while expanding their learning skills at the same time. Helpful on short trips or for time set aside for learning. 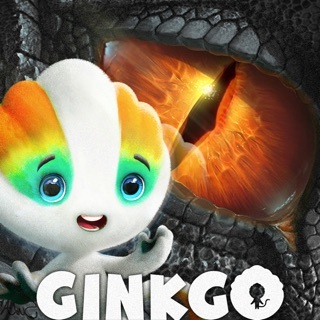 This is a great educational app for children! It is a great way to learn their fruits by color and name. I love that there are 5 different games that are offered as you move along the path. 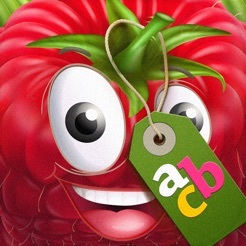 This is a perfect app for ages 3 and up who are just learning their fruits and colors. Would recommend to parents.